Although she would later singlehandedly create a new approach to American cuisine with her cookbook Mastering the Art of French Cooking and her television show The French Chef, Julia Child was not always a master chef. Indeed, when she first arrived in France in 1948 with her husband, Paul, who was to work for the USIS, she spoke no French and knew nothing about the country itself. But as she dove into French culture, buying food at local markets and taking classes at the Cordon Bleu, her life changed forever with her newfound passion for cooking and teaching. Julia’s unforgettable story—struggles with the head of the Cordon Bleu, rejections from publishers to whom she sent her now-famous cookbook, a wonderful, nearly fifty-year long marriage that took the Childs across the globe—unfolds with the spirit so key to Julia’s success as a chef and a writer, brilliantly capturing one of America’s most endearing personalities. 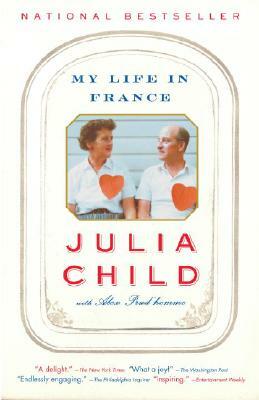 Alex Prud'homme is Julia Child's great-nephew and the coauthor of her autobiography, My Life in France, which was adapted into the movie Julie & Julia. He is also the author of The Ripple Effect: The Fate of Freshwater in the Twenty-First Century, Hydrofracking: What Everyone Needs to Know, and The Cell Game, and he is the coauthor (with Michael Cherkasky) of Forewarned: Why the Government Is Failing to Protect Us--and What We Must Do to Protect Ourselves. Prud'homme's journalism has appeared in The New York Times, The New Yorker, Vanity Fair, Time, and People.